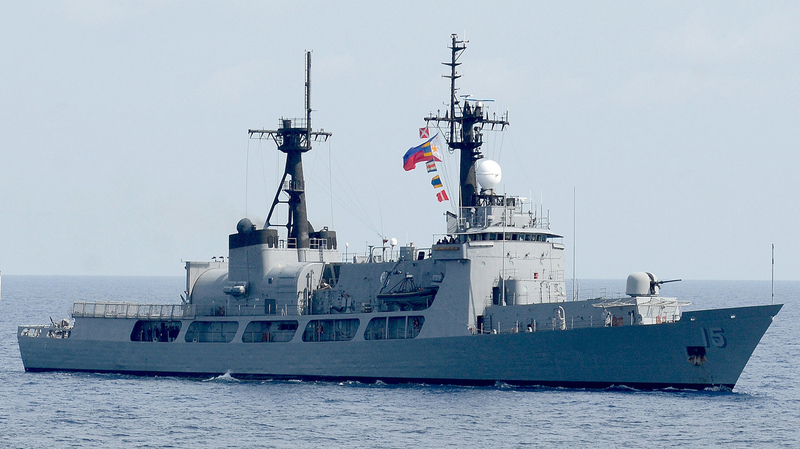 MANILA --- The Philippines will be acquiring more missile weaponry to arm its new ships, Department of National Defense (DND) Secretary Delfin Lorenzana disclosed Thursday. Lorenzana made the announcement after the successful test-firing of the Philippine Navy's (PN) Rafael Advanced Defense Ltd. Spike-ER (extended range) surface-to-surface missile off Lamao Point in Limay, Bataan last August 9. The weapon was fired from one of the PN's three Spike-ER armed multi-purpose assault craft (MPACs). "We are getting more of those ( missile weaponry) because we're planning (to acquire) more vessels. By the way, we have an offshore-patrol vessel order (for the Navy), six of which would be built here in the country. It will be built by Austal, which is a subsidiary of Austal in Australia, in Balamban, Cebu," Lorenzana said in a media interview. Asked for the contract price for the six off-shore patrol vessels, the DND chief said he cannot give specific figures yet as the deal is still being finalized. The DND chief said the implication of the August 9 Spike-ER missile test-firing is that it boosted the PN's capability to efficiently employ such weapon in its operations. "A Spike-ER missile was fired and accurately hit the designated target at approximately 6 KM (kilometers) away from the firing platform. The target was hit dead center even if the sea state condition was moderately rough with wave of at least one meter high but within the normal firing conditions of the missile," PN spokesperson Cmdr. Jonathan Zata earlier said. The PN MPAC Acquisition Project entered into a contract with Rafael, through SIBAT of the Israel Ministry of Defense, for the supply and integration of the weapons systems to MPAC Mark III platforms. "Another actual live firing demonstration of the Spike ER missile will be scheduled with the Commander in-Chief, the President of the Philippines, President Rodrigo Roa Duterte in attendance," Zata said.